Chris’ clients range from people new to the world of fitness, looking for assistance in managing diet; to people overcoming illnesses such as cancer, fibromyalgia, arthritis, multiple sclerosis and stroke; your average person looking for that above average health to body builders and elite athletes. Together we will EMPOWER you to take charge of your health. Chris pursued the career of personal training because he wanted to combine his passions of fitness and healthy lifestyle with his desire to help, inspire and EMPOWER people. 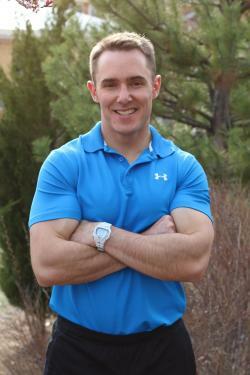 Chris strongly believes fitness is fun and is not a chore but rather a lifestyle. Chris likes to incorporate that principle in his workouts by competing in mud runs, hiking the incline in Manitou Springs, climbing the stairs at Red Rocks and will keep his competitive spirit alive with his first kettlebell competition in 2014.